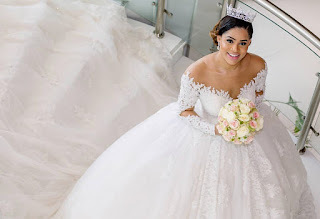 Former beauty queen Iheoma Nnadi was simply a queen on her wedding day! 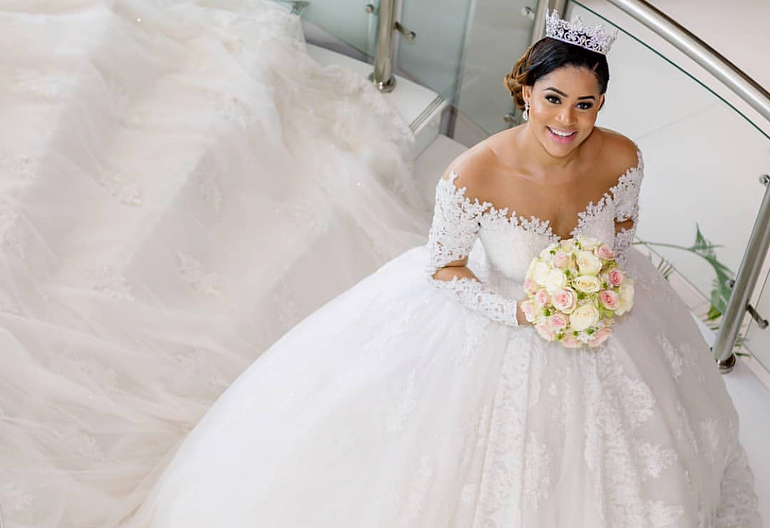 Asides calling out her wedding and event planner for bad service on social media ,former most beautiful girl in Nigeria Iheoma Nnadi has been sharing some lovely shots from her wedding day. 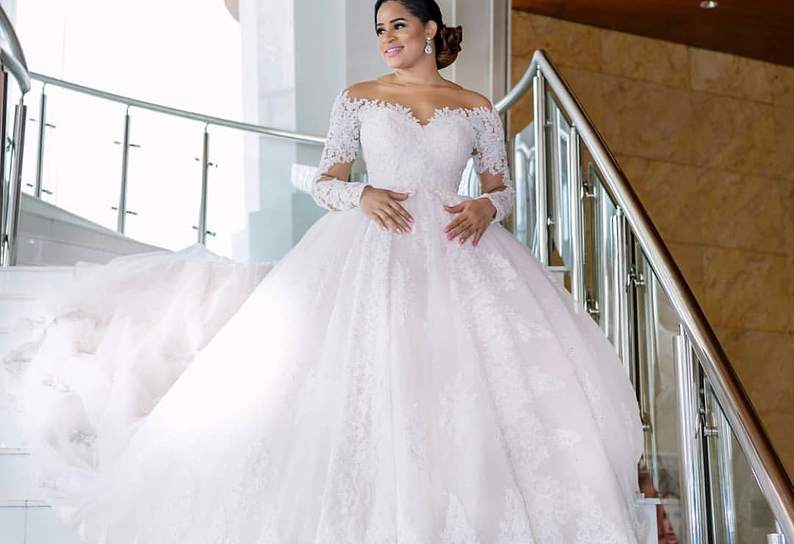 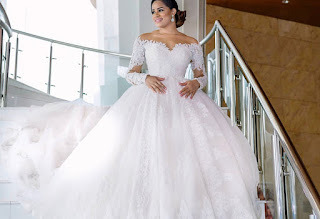 The beauty queen and mum of one tied the knot with her footballer hubby Emenike some days ago and she simply lived up to her queenly status choosing to walk down the aisle in a very regal April by Kunbi dress..